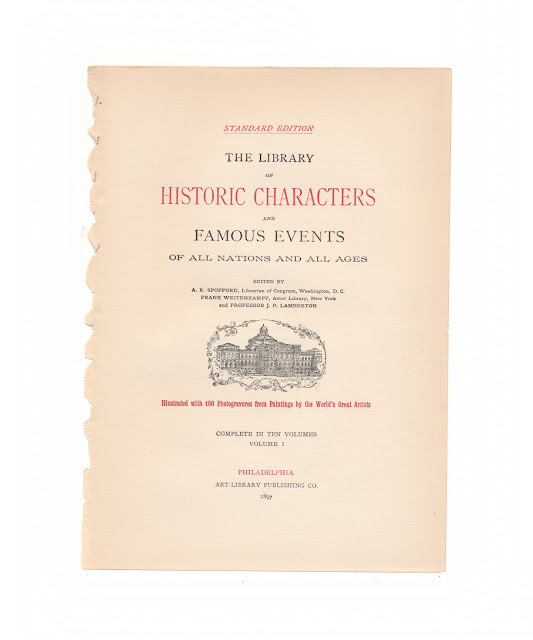 This print comes from volume one of "The Library of Historic Characters and Famous Events of All Nations and All Ages." It was edited by A.R. Spofford, the Librarian of Congress, as well as John Porter Lamberton and Ed Frank Weitenkampf. The book was printed in 1897 by the Art Library Publishing Company. 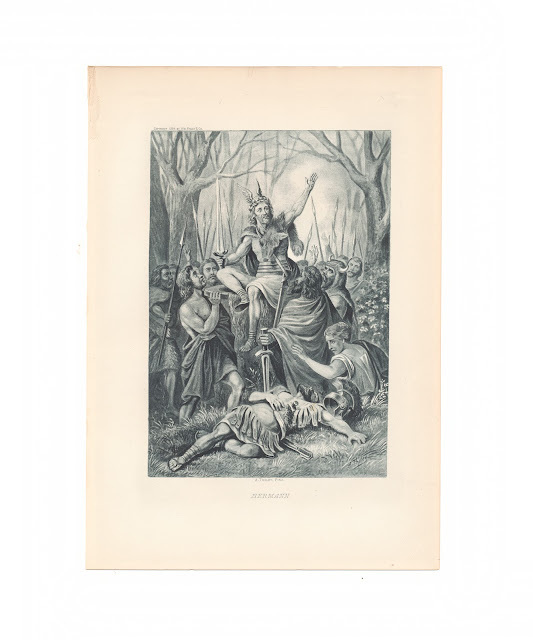 This print features "Hermann" also known as Arminius, or Herman the German. It comes from the painting by Tholey and measures 6.75 x 9.5 inches and is in good clean condition with no major defects. The paper is thick, quality stock. Title page is included for reference purposes and is not included in the sale.